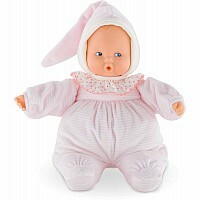 Adele is a soft-bodied, 14-inch tall mon grand poupon Corolle baby doll with blue sleepy eyes for little ones wanting a baby of their own to love. 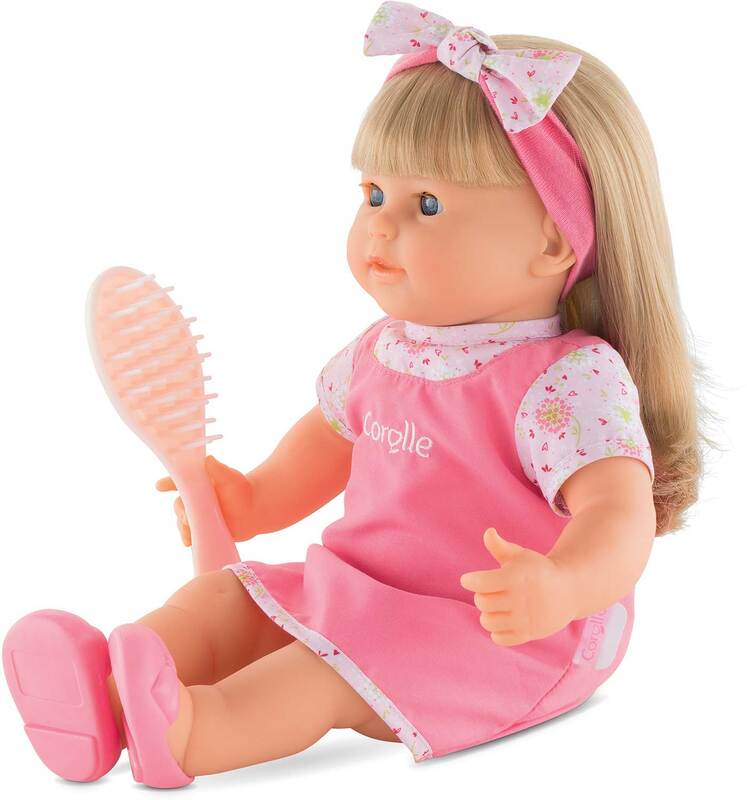 With her long easy-to-style hair, children ages 3 and up are introduced to hairstyling play (hairbrush included). Adele's face, arms and legs are made of soft, supple vinyl that is lightly scented with vanilla, a Corolle signature. 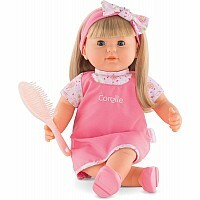 She is dressed in a pretty pink dress and wears a color-coordinated headband and removable pink shoes. 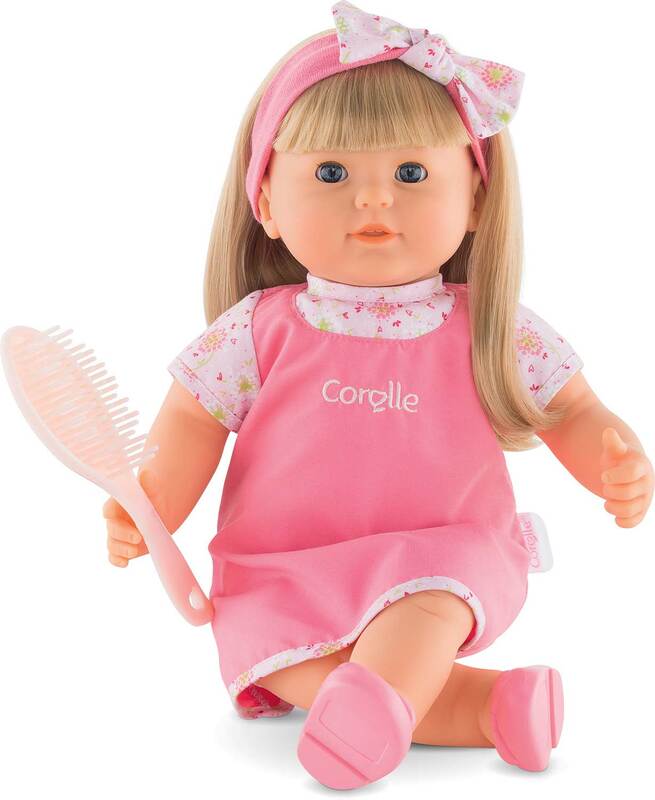 Adele is part of the mon grand poupon Corolle collection of dolls, fashions and accessories designed for little ones wanting to take care of their baby doll the way their parents take care of them. Ages 3 and up.